The PG9926 from DSC is a wireless photoelectric smoke detector that’s compatible with PowerSeries Neo systems. When triggered, the smoke alarm’s built-in horn with sound at 85dB at 3M (10 feet). Installation is simple and the smoke detector only requires a few holes to be drilled for it to be set up. It’s LED light will show the signal strength as well as display whether the tamper switch has been interfered with. 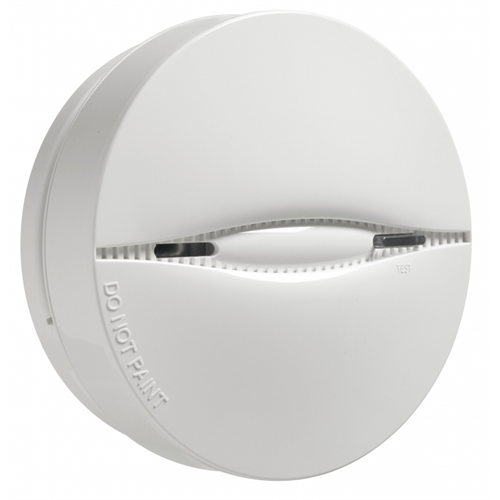 Using PowerG’s cutting-edge wireless intrusion technology, this smoke detector leverages all the exceptionally versatile features including Frequency Hopping Spread Spectrum, Full Two-way Synchronized TDMA Communication and 128-bit AES encryption. Comes with a 3V CR123A battery and will signal when it’s running low.